I’m going all nursy today. I have two things I want to talk about. 1. Go clean your medicine cabinet. A while back I was part owner of a very cool compounding pharmacy. I did all the PR , videos, blog, etc. I even produced a radio show. I wanted to do a segment called “What’s in your medicine cabinet?” because you know me. I’m nosy! I talked to some of friends about this but no one was willing to let me see. LOL! The worse thing you can do is actually put medications in your medicine cabinet. On Grace and Frankie there was a scene where the Martin Sheen character Robert was having a fight with the Sam Waterston character Sol about where Sol should put his medicines. “They belong in the medicine cabinet in the bathroom.” Robert said. Sol defended himself by saying he left them out so he would remember to take them. I’m with Sol. Put them in some kind of container and put them somewhere you’ll remember to take them. Keep them out the bathroom. It’s too hot and humid in there. When i was growing up even my ocd mom had 500 year old Mercurochrome in the medicine cabinet. So if your not willing to part with it at least check the expiration dates. We have a bad habit of putting things in there and then thinking well maybe one day we’ll use them and they just grow old and icky. There’s nothing as nasty as sad old Mercurochrome. 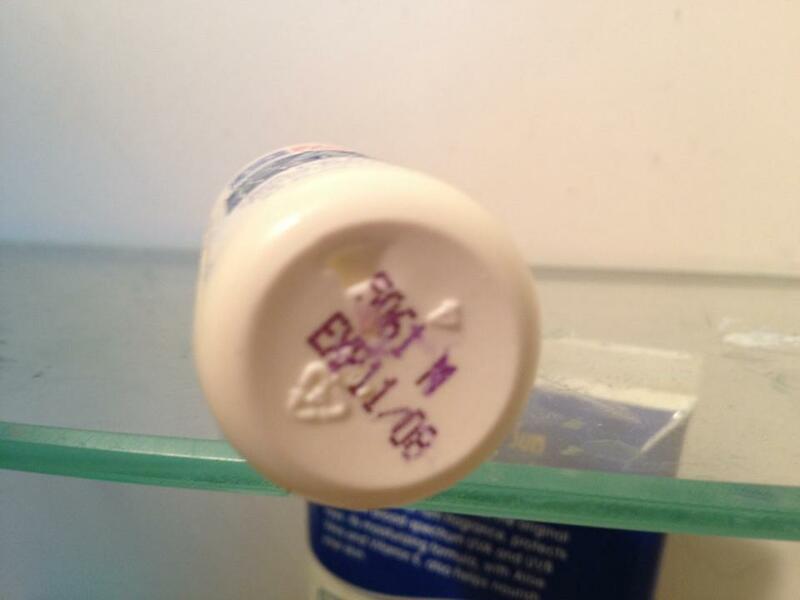 The other thing you should do is check your aspirin bottle to make sure your aspirin in not disintegrated. I buy little bottles of aspirin. Why? Aspirin is chemically known as acetyl salicylic acid. After some time, or when stored in non ideal conditions, it will easily deteriorate into acetic acid and salicylic acid even without the presence of other chemicals. Vinegar came from the fermented juices of fruits that contain sugars. The initial fermentation of the freshly extracted juices will result to the creation of wine. If the fermentation is allowed to continue, the alcohol in the wine will further be converted into acetic acid. Acetic acid gives that sour flavor and distinct odor to vinegar and related products. When aspirin starts to decompose, its molecules will separate into salicylic acid and acetic acid. Having acetic acid as the product of decomposition of aspirin gives it a similar odor as that of vinegar (which has diluted amounts of acetic acid as its component). To slow down the decomposition process of aspirin, it must be stored in suitable conditions. 1. Store the container in a cool and dry place. Exposure to moisture will facilitate the hydrolysis of the aspirin molecules into its decomposition products. 2. Keep the container tightly closed. Exposure to air provides the oxygen that is required for the oxidation of aspirin into acetic acid and salicylic acid. 3. Keep aspirin (and other medications) away from areas in which there is strong sunlight. Strong lighting conditions can also hasten the deterioration of many medications. They are best stored in amber bottles. So if you open the bottle and it smells like vinegar get rid of it. It’s not good anymore. And don’t forget to check expiration dates! This entry was posted in health, nursing and tagged aspirin, expiration dates, grace and frankie, medicine cabinets. It’s getting close to National Drug take back day. Clean out that medicine cabinet.